Lots of detail on Mimi’s special cake. A German lady who loves her knitting, reading, gardening, pets, formula 1 and her grandchildren. 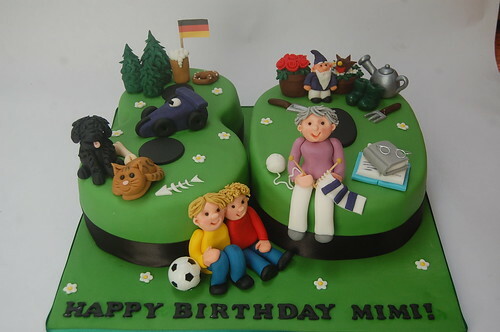 Mimi’s 80th Cake – from £120. Mandy did the most extraordinary job for my mum’s 80th birthday cake – she loved it so much that she refused to let it be cut up! Thank you for making it such a special day.